Garden lighting, also known as landscape lighting, refers to the use outdoor illumination of public landscapes and private gardens. 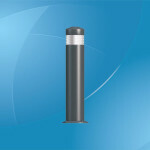 This type of lighting is mainly used for the purposes of accessibility, nighttime aesthetics and safety. LED garden lights are touted as the next big thing in energy efficient garden lighting. 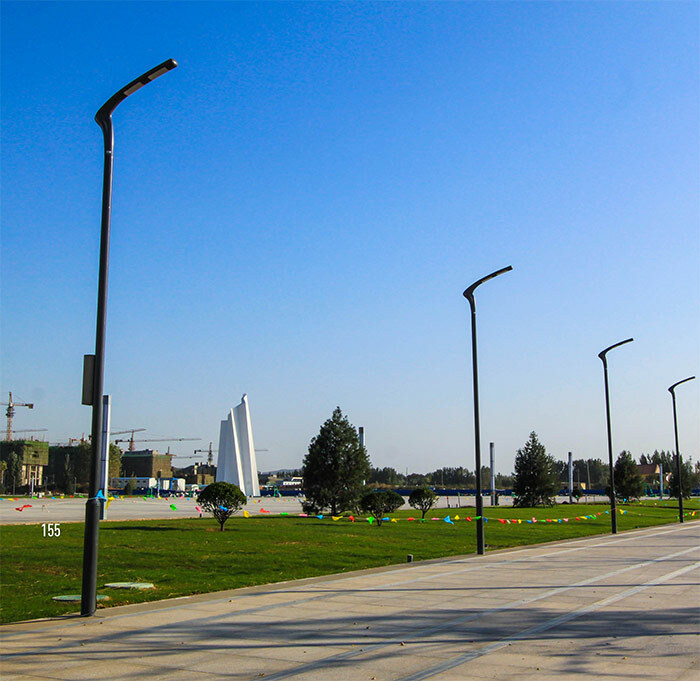 Characteristics of LED lights make them particularly suitable for outdoor use. LED garden lights utilize two main sources of power; solar and electricity. Because they require less energy, they can be easily powered with solar energy. These types of lights can be attached to sensors in a way that they are activated as soon as daylight fades away. Depending on the area of application, such lights may be used in a grid formation or attached directly to a battery connected to a solar panel. Not only are outdoor LED lights one of the most efficient ways of lighting up your garden, but in the future these will probably be the lights used in all areas that require light. Electricity is the second power source that LED lights use. 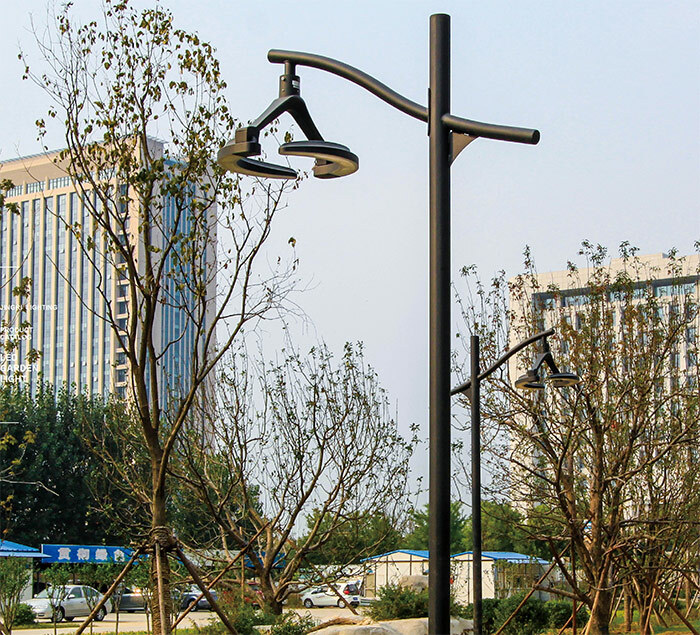 There are some LED garden lights that use electricity based fixtures such as stake mount, tree mount, in-grade, hanging, fixed post, movable and stationary fixtures. Most garden lights of this kind use either 110V – 120V input or 220V – 240V alternating current. 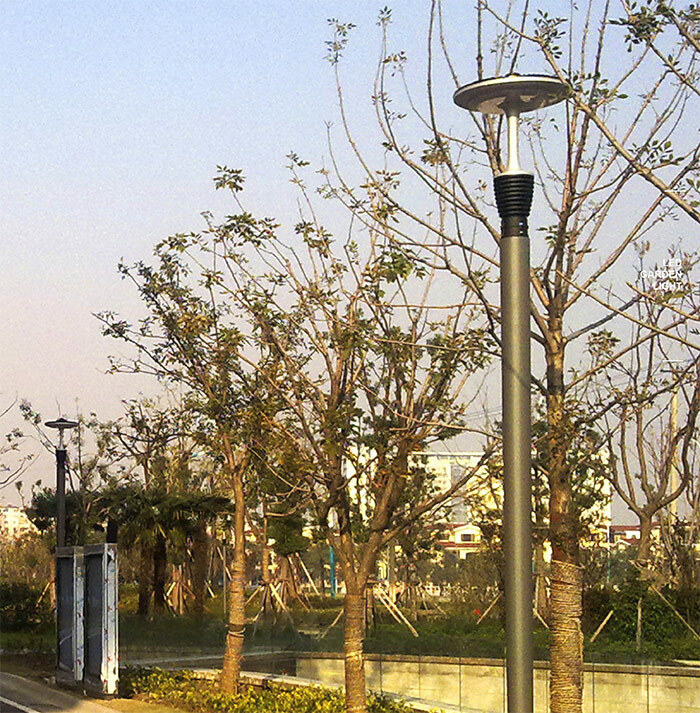 There are various kinds of LED garden lighting available. It is possible to choose units that can be wired to the home’s electrical system or units that are powered by solar power. At the same time, there are a number of different lighting styles to choose from like pond lights, spotlights and walkway lights. Most styles of LED garden lights are available in colored or white bulbs that can be utilized to create varying effects in the garden. 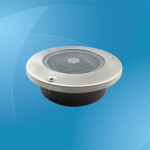 Even though this garden lighting is a fairly novel use for light emitting diodes, it is swiftly gaining popularity due to the advantages it has over traditional halogen or incandescent lighting techniques. A major advantage in a garden is that LED garden lights are cooler in temperature meaning foliage will not be damaged by searing lights. Additionally, there is a reduction in risk of injury to children or adults from burns. 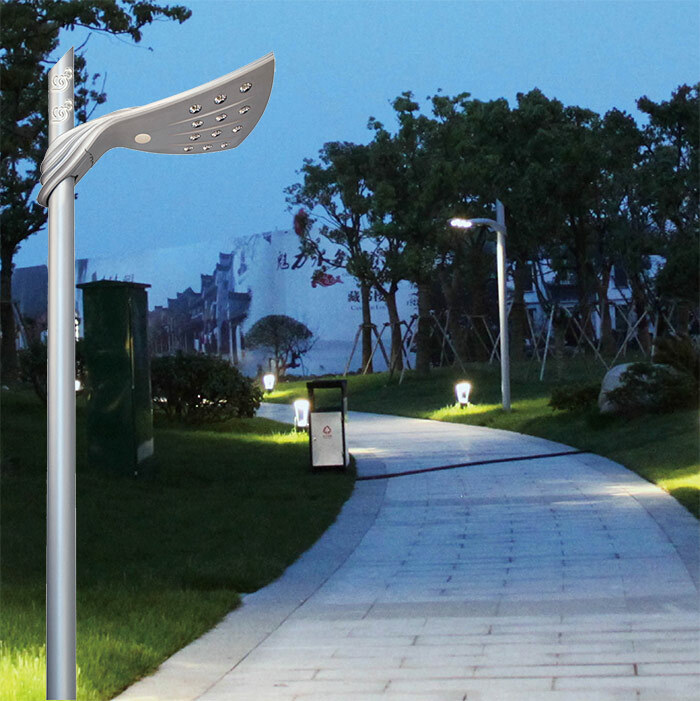 There is a multitude of different LED garden lighting to pick from such as walkway lights. These are mainly utilized to highlight areas on the edges of flower beds or pathways in a garden. LED garden lights of this type are made in many different designs, from intricately styled butterflies to plain lanterns. With this in mind, they can offer a decorative panache to the garden at night, and during the day when they are switched off. Different sections of the landscape can also be highlighted by using many different designs of LED garden lighting. For instance, spotlights can call attention to favorite areas such as cherished statuary or plants. Larger areas can be illuminated by use of floodlights. Deck lights are more useful near pools, on decks and patios as they allow these sections to be enjoyed when it is dark or at night. For gardens that have water features, pond LED lights will bring attention to the beautiful aspects of the garden. A more spectacular outcome can be brought about by using underwater LED pond lights. The varieties of effects that one can achieve are further extended by the availability of colored LED garden lights. In some areas, colored lighting has grown in popularity as it allows different sections of the garden to stand out. Many colored LED lights designed for gardens contain blue, green and red LEDs. They can be strategically combined to create numerous different colors. There is an option of changing these lights seasonally to allow certain colors to highlight particular plants or to vary lighting for holidays. LED garden lights, due to their small size, can be used in a variety of innovative ways to add beauty to your garden. For instance, strings of LED rope lights can be laced along fences or pathways. 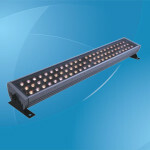 These lights can also be submerged in swimming pools or ponds, or concealed amidst the bushes or flowers. Such lights are mostly used during pool or garden parties as well as barbecues. LED garden lighting has many decoration options to liven up your garden while ensuring it is properly and efficiently illuminated. 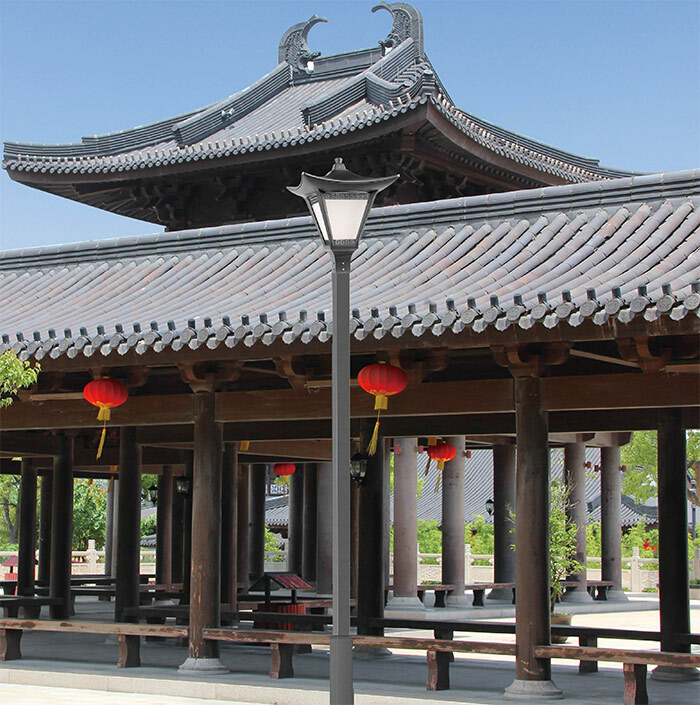 This is a very classical garden light with modernized design and inspirational concept. Power: 82W; Input voltage: AC 100-277V; Frequency range: 50-60Hz; Power factor: >0.90; Total harmonic distortion (THD): <15%; Light sources: High brightness LEDs, 72 pieces; Luminous flux: 4737/4373/3623 lm; CRI (Ra>): 70; Weatherproof rating: IP65; Working temperature: -35-+50°C, Relative humidity: 10-90%. This lamp has a modern design and nice curve. 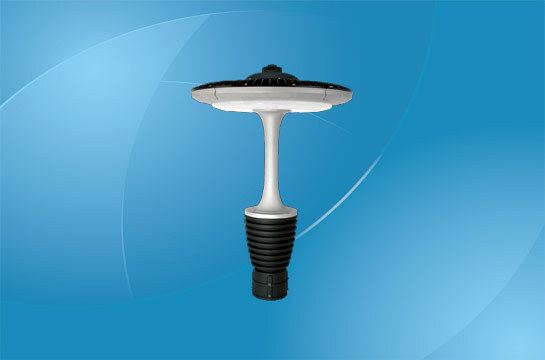 Made of die-casting aluminum, the lamp body features high strength and weather-proof characyeristic. The color temperature can be adjusted from warm white, natural white, to cool white to make it in harmony with the surroundings in different seasons. Power: 89W; Input voltage: AC 100-277V; Frequency range: 50-60Hz; Power factor: >0.90; Total harmonic distortion (THD): <15%; Light sources: High brightness LEDs, 72 pieces; Luminous flux: 5554/4536/2913 lm; CRI (Ra>): 70; Weatherproof rating: IP65; Working temperature: -35-+50°C, Relative humidity: 10-90%. This design is inspired by the crescent moon. It looks like a crescent illuminating the street, it makes you to embrace the nature. Power: 83W; Input voltage: AC 100-277V; Frequency range: 50-60Hz; Power factor: >0.90; Total harmonic distortion (THD): <15%; Light sources: High brightness LEDs, 162 pieces; Luminous flux: 3457/3180/2607 lm; CRI (Ra>): 70; Weatherproof rating: IP65; Working temperature: -35-+50°C, Relative humidity: 10-90%. This lamp is inspired by Ancient Chinese architectural element 'Larmier', integrated with modern and simple style. The elegant lamp shows sharp visual impact by the combination of square and round design, which implies round heaven and square earth in Chinese culture. 'Larmier'look self-cleaning canopy, independent LED modules, multifunctional decorative ceiling, anti-glare frosted glass (optional). Power: 85W; Input voltage: AC 100-277V; Frequency range: 50-60Hz; Power factor: >0.90; Total harmonic distortion (THD): <15%; Light sources: High brightness LEDs, 36 pieces; Luminous flux: 6475/5957/4884 lm; CRI (Ra>): 70; Weatherproof rating: IP65; Working temperature: -35-+50°C, Relative humidity: 10-90%. The idea of this light is inspired by the flying wing. The streamlined design and sports style highlight its special individuality. 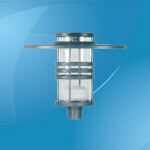 The lamp body is integrally molded for high strength. Power: 84W; Input voltage: AC 100-277V; Frequency range: 50-60Hz; Power factor: >0.90; Total harmonic distortion (THD): <15%; Light sources: High brightness LEDs, 48 pieces; Luminous flux: 7075/6549/5427 lm; CRI (Ra>): 70; Weatherproof rating: IP65; Working temperature: -35-+50°C, Relative humidity: 10-90%.